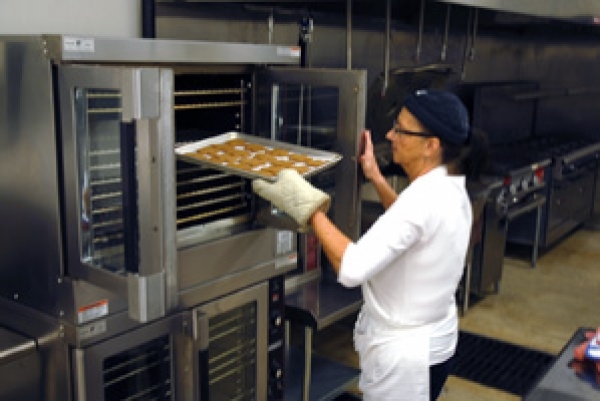 REI Oklahoma helps jumpstart food businesses by providing resources for success, including affordable commercial kitchen space, access to capital, business assistance and small business training opportunities. The commercial kitchen at REI Oklahoma strives to foster entrepreneurship, good food, and community by providing a supportive environment for new and growing food businesses. Our commercial kitchen is outfitted with professional grade equipment ready for you to open your own café or catering business. 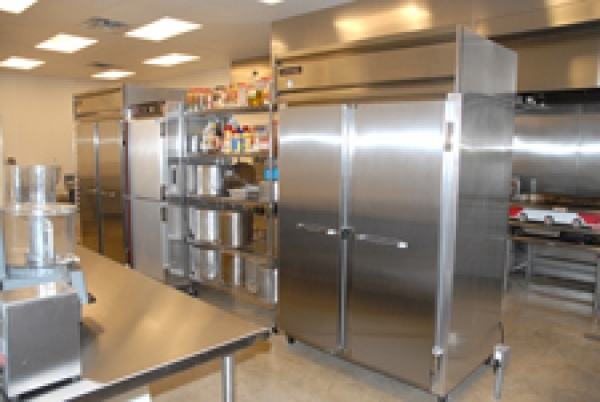 Setting up a commercial kitchen can be costly and the certification process can be very intimidating. 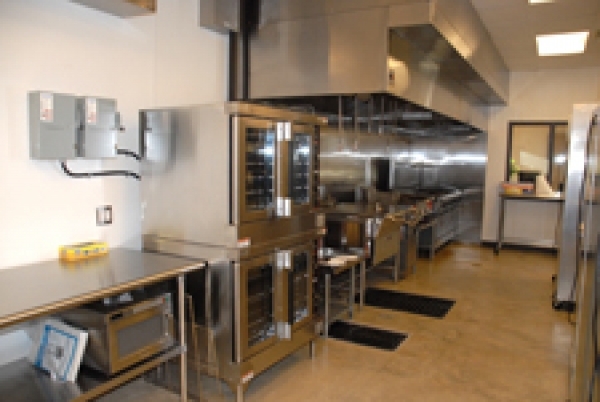 The commercial kitchen at REI Oklahoma helps businesses grow without the overwhelming initial investment. 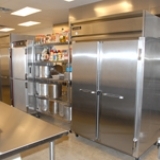 The commercial kitchen is equipped with a walk-in cooler/freezer, double convection oven, tilting kettle, 60 inch range, food processor, slicer, peeler, grinder, mixer, hot holding oven, griddle, titling brazing pan, deep fryer, ice machine, work tables and much more. Facility features include office space and meeting rooms, seating for small cafe (15-20 people), dry storage, high speed internet, washer/dryer room and adequate parking. 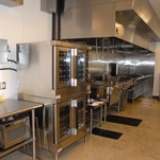 The commercial kitchen has worked well for catering businesses, lunch cafe, a processor of hot cocoa mix, a specialty baking company and those producing salsa and other specialties. 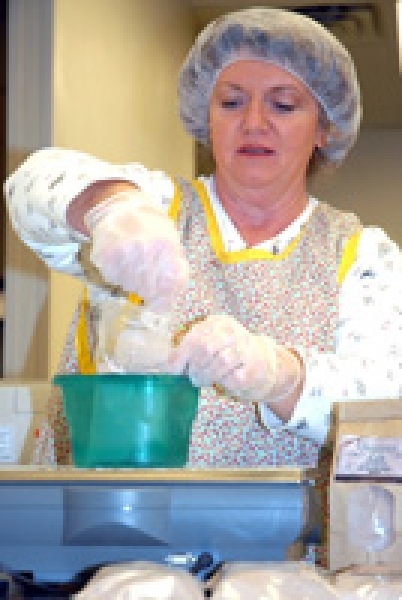 The kitchen has ample space for both processing and packaging. Schedule a tour today by calling 800.658.2823. We would love to talk about how we can help you achieve your business dream!